This PDF 1.7 document has been generated by Adobe InDesign CS6 (Macintosh) / Adobe PDF Library 10.0.1, and has been sent on pdf-archive.com on 30/05/2016 at 01:42, from IP address 70.176.x.x. The current document download page has been viewed 289 times. File size: 259 KB (13 pages). environment in outpatient facilities, including hospital outpatient facilities and ambulatory surgical centers (ASC). 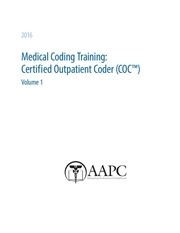 and ICD-10-CM procedural and diagnostic coding, as well as payment processes, for facilities. successful completion of the course. CPT ® copyright 2015 American Medical Association. All rights reserved. within the geographic area, new or pending government regulations, etc. undetected inaccuracy, opinion, and analysis that might prove erroneous or amended, or the coder’s misunderstanding or misapplication of topics. express written approval of AAPC and the sources contained within. express written permission from AAPC and the sources contained within. reimbursement rates from Medicare, it is not the only set of rules to follow. patients. Nevertheless, it is important to consult with individual private payers if you have questions regarding coverage. medical services. The AMA assumes no liability for data contained or not contained herein. Printed 123015. All rights reserved. CPC®, CIC™, COC™, CPC-P®, CPMA®, CPCO™, and CPPM® are trademarks of AAPC. topics discussed in this chapter provide a high-level overview. services associated with the procedure or service provided. on a UB-04 claim form. encounter, the physician bills for the evaluation and management (E/M) and the wound repair procedure performed. facility. The criterion for the E/M code selection is different. hospital facility and the ASC. process and how each department contributes. in the reimbursement process will also be addressed. claim (UB-04) for the date of service. emergency department encounters are selected by coders. impact on reimbursement for the hospital facility. licensed clinical social workers (LCSW). the campus where the procedure is being performed. the room during the performance of the service or procedure. services will be considered packaged and will not be reimbursed separately. The reimbursement for surgeries is based on APC payment. per day. These types of services will be discussed in chapter 12.
of diagnostic studies, etc., are billed separately by the professional entity rendering the individual services. is one encounter, multiple departments will provide a service. radiology for the X-ray technician who performs the chest X-ray. physician such as a radiologist or cardiologist). office or an independent diagnostic testing facility (IDTF). be performed and the reason for the tests (diagnosis). in specialties (eg, ENT, orthopedics, family practice). program in medicine, osteopathy, dentistry, or podiatry. Teaching physicians oversee residents providing patient care. GME program or other approved educational activities. departments of the hospital that depend on specialties. for coverage in an ASC. 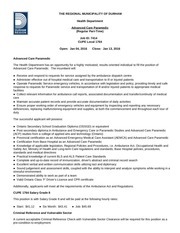 of ASC-approved procedures for the independent facility. services from the physician office setting to the ASC. considered higher risk, which might require a hospital stay. which will be discussed later. ASCs can be either independent or affiliated with a hospital. services or any other facility. services is discussed later in this curriculum. and psychiatric services, in addition to the 25-bed maximum. Part B deductible and coinsurance amounts. This file has been shared by a user of PDF Archive. Document ID: 00378062.